A loan modification is a permanent restructuring of a mortgage in which at least one of the terms of the loan agreement are changed in order to provide more affordable payments. These more affordable payments usually result from reducing the interest, converting from a variable interest rate to a fixed interest rate, or extending the length of the loan term. If you are considering filing for bankruptcy, our lawyers can assist you with that as well. 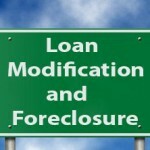 How Do I Get Eligible For a Loan Modification? There are many different loan modification options, and it is beneficial to seek out the legal advice of an experienced attorney before making any decisions. Forbearance agreements are a form of short-term relief, in which the lender agrees to reduce or suspend payments for a certain period of time as well as not to initiate a foreclosure. At the end of the forbearance period, you must resume full, regular mortgage payments and also pay additional fees in order to become current on missed payments and interest. Forbearance agreements are temporary solutions, whereas a loan modification agreement is a permanent solution. If your missed mortgage payments are directly due to a temporary hardship, you may be able to acquire a repayment plan to spread out the past due balance over a certain number of months. During such a repayment period, a portion of the amount that is overdue is added on to each of your regular mortgage payments. At the end of your repayment period, regular mortgage payments resume. Repayment plans are temporary solutions, whereas a loan modification agreement is a permanent solution. Foreclosure takes place when you fall behind on your house payments; foreclosure laws and procedures are quite complex and can vary from state to state. There are two types of foreclosure lawsuits, judicial foreclosure and nonjudicial foreclosure. In judicial foreclosures, the lender has to go to court in order to get the foreclosure process started, which often takes several months. Nonjudicial foreclosures, on the other hand, do not got through court. If you need legal advice regarding a loan modification or possible foreclosure, please contact LegalHelpLawyers.com today, and ensure the best outcome possible!